Polypropylene is a lightweight disposable material that will keep you clean when working in dusty, dirty, gritty and grimmy areas. Best suited for protection against non-hazardous dry particles. It is extremely comfortable, breathable and lightweight. 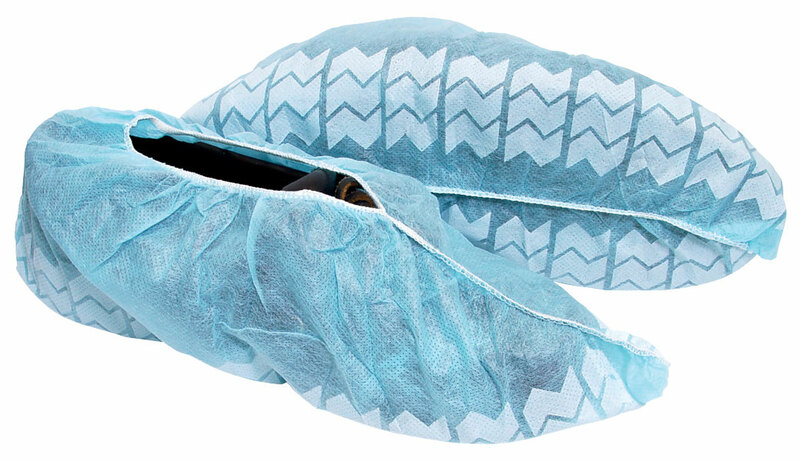 The 12BNSC is a blue non-skid shoe cover, one size.